Discovery Communications has named the new management team that will lead the enlarged company after the Scripps Networks Interactive acquisition, with Discovery Channel boss Rich Ross out and Scripps programming chief Kathleen Finch put in charge of all lifestyle channels. Discovery said that Ross, currently group president of Discovery Channel and Science Channel, is to leave the company. 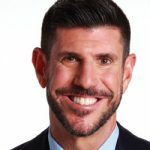 The former Walt Disney Company exec has headed up the two channels since November 2014 after leaving Shine Group. Nancy Daniels, currently president of TLC, will take on the new role of chief brand officer, Discovery and factual with immediate effect, and will take charge of Discovery Channel and Science Channel as part of that expanded remit. 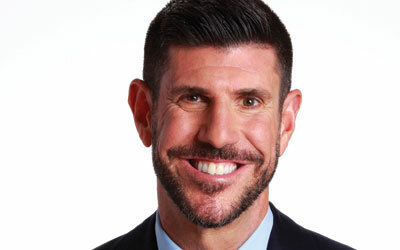 Finch, who is currently chief programming, content and brand officer for Scripps Networks’ six brands, will become chief lifestyle brands officer with oversight of HGTV, Food Network, TLC, ID, Travel Channel, DIY Network, Cooking Channel, Discovery Life, American Heroes Channel, Destination America, Great American Country and Lifestyle Digital Studios in the US. Reporting to Finch, Henry Schleiff will continue as group president for ID and domestic US-focused channels Destination America and American Heroes Channel, while Howard Lee, executive VP of development and production for TLC and general manager of Discovery Life, is promoted to president and general manager for TLC and Discovery Life. Jean-Briac Perrette, Discovery Networks International president and CEO, will continue in that role, overseeing the combined company’s international efforts. Elsewhere, Discovery execs predominate. Gunnar Wiedenfels, Discovery’s CFO, will take the same role of the combined company. Bruce Campbell, currently chief development, distribution and legal officer of Discovery, also keeps his post. Susanna Dinnage and Erik Logan will continue as presidents of Animal Planet and OWN respectively, while Karen Leever, EVP and general manager of digital media in the US, and Mike Lang, president, of Discovery Networks International digital operations and CEO of digital brand TEN/MotorTrend, will continue in their respective roles. David Leavy, currently Discovery’s chief corporate operations and communications officer, will continue in that role, while John Honeycutt will be the combined company’s CTO with direct management over global technology operations and strategy, reporting to Leavy. Scripps national ad sales and marketing president Jon Steinlauf will become chief US advertising sales officer. They will all report to David Zaslav, who is currently president and CEO of Discovery.